On the first day of November 2017, Brandon Taubman ’07 watched from a luxury box at L.A.’s Dodger Stadium as the Houston Astros completed a dramatic, seven-game World Series triumph. When the last out was made, Taubman’s first move was to kiss his wife. His second: a handshake-turned-hug with Astros general manager Jeff Luhnow, who’d hired him four years earlier and later promoted him to senior director of baseball operations and analytics. Then Taubman rushed down to the visitors’ clubhouse to join in a champagne-drenched celebration. For a guy whose baseball career peaked with the junior varsity at Long Island’s Syosset High School—and whose previous “team” was the equity derivatives crew at Barclays Investment Bank—it was a surreal moment. If Houston’s title was unlikely—it was the franchise’s first championship in its fifty-six-year-history—Taubman’s part in it was equally so. After majoring in applied economics and management in Cornell’s Dyson School, he’d begun an investment banking career in Manhattan with Ernst & Young before moving on to Barclays. Meanwhile, as a side gig, he and another number-crunching pal made extra money by playing fantasy baseball online—gaining a big advantage by creating a complex model that predicted which players had the best chance for success, even factoring in subtleties like how weather and certain umpires influence hitting and pitching. 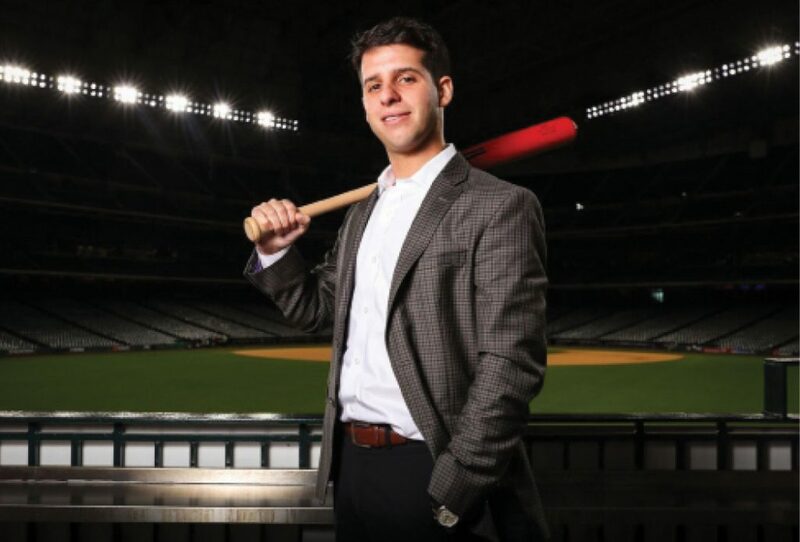 When Taubman heard about an opening for an analyst position with the Astros, he figured he had experience both in finding value in commodities and in using baseball stats as predictive tools. Why not take a swing at it? Much of this data objectively captures what scouts have measured more subjectively for decades, Taubman notes—so the two camps complement each other, making for solid teamwork. “We’re all speaking the same language now, and R&D’s job is to bring additional insights to the end users—the players and coaches,” he says. “The more we’re able to share information with these guys so they can proactively get better, the more success we’re going to have as an organization.” So the team uses data analysis to not only evaluate player performance, but to enhance it. This is where Taubman’s background in finance—establishing the value of something—may be most beneficial. He studies, for instance, which traits tend to make for a good pitcher and even which quantifiable factors make a pitch good. That’s why he strongly advocated for the team to sign an injury-prone, thirty-three-year-old journeyman named Charlie Morton before the 2017 season. Morton had been cut by the lowly Philadelphia Phillies and had an unimpressive 46-71 lifetime pitching record—but Taubman’s job is to dig deeper into the numbers. He liked how the velocity of Morton’s fastball had increased after he rested his arm while recovering from a groin injury; he also saw an opportunity for Morton to change his strategy regarding where he placed his pitches around the strike zone. So at Taubman’s behest, the team signed Morton to a two-year deal. He not only went on to win fourteen games for Houston in 2017, but became the first pitcher ever to win Game Seven of both his league championship and the World Series.